As a part of Therapy Center’s company-wide giving back campaign, all of our facilities are encouraged to choose a charity or cause to support throughout the year as a team. We are honored to celebrate the difference our teams are making in all the communities we serve, as well as in other states and countries. 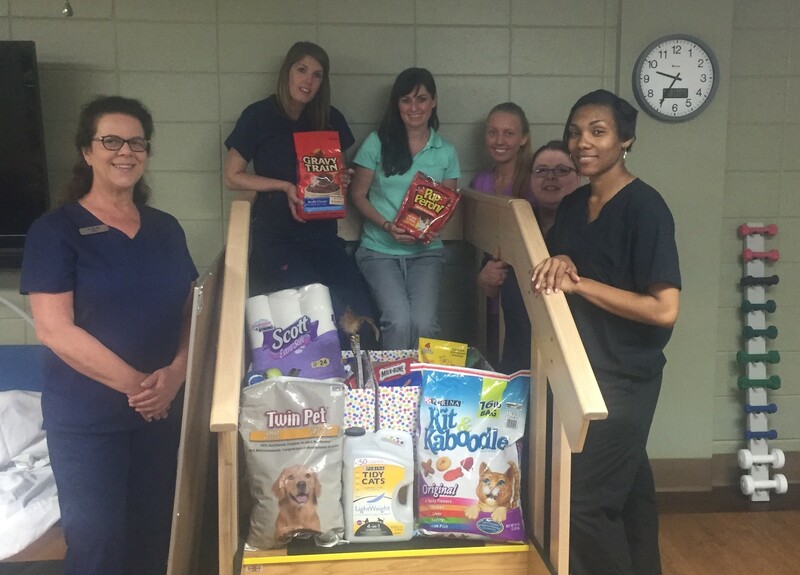 The therapy team at Tioga Community Care Center reached out to a local animal shelter in need as part of their giving back project. The organization is called BARK (Boudreaux Animal Rescue Krewe.) The team set up a ‘goods station’ where they collected animal food, toys and other pet items to help fulfill the needs of the organization. “We all love animals here at Tioga and wanted to help out the people in our community who are going above and beyond to maintain the No Kill Animal Shelter,” says Paige Garrett, SLP. 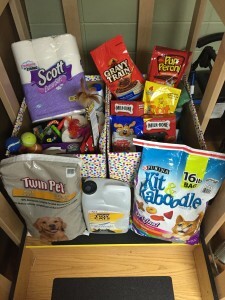 “We had a wonderful time with the pet food drive! It was a great way to work with our patients to give back to our community,” says Paige. “We really enjoyed getting to work with our patients for a cause involving our community, and it helped us bond as a team and even grow closer to our patients, all to accomplish a greater good! We encourage everyone to get involved in a giving back project“, Haley Ready, COTA. Our therapy team at Tioga enjoyed this project so much they have already begun discussing ideas for their next project. They said the best thing that came out of the project was helping out the community and growing as a team, working on something together outside of work. Along with collecting goods for BARK, our Tioga team has also participated in other giving back activities, such as making toiletry gift bags for the residents in their facility. To find out more about the giving back projects Therapy Center has participated in, visit the Looking Forward Giving Back section of our blog.